Are you ready for Halloween? I’m so excited for this year; probably because my daughter is 2 and understands it a little more! I’m especially loving all the crafts and decor were making together, its so much fun to see her so excited! 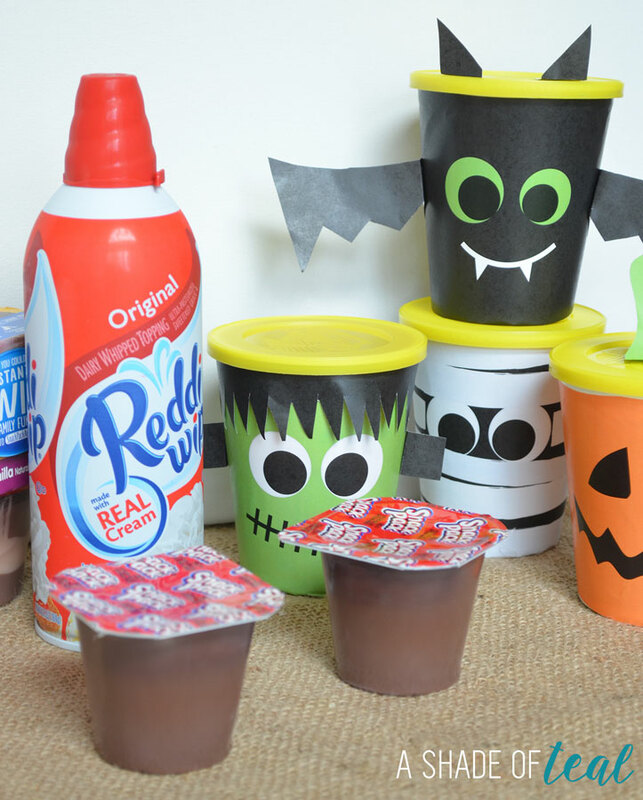 Today I’m showing you how to make these Halloween Treats with Go-Paks!, Snack Pack Pudding, and Reddi-wip! 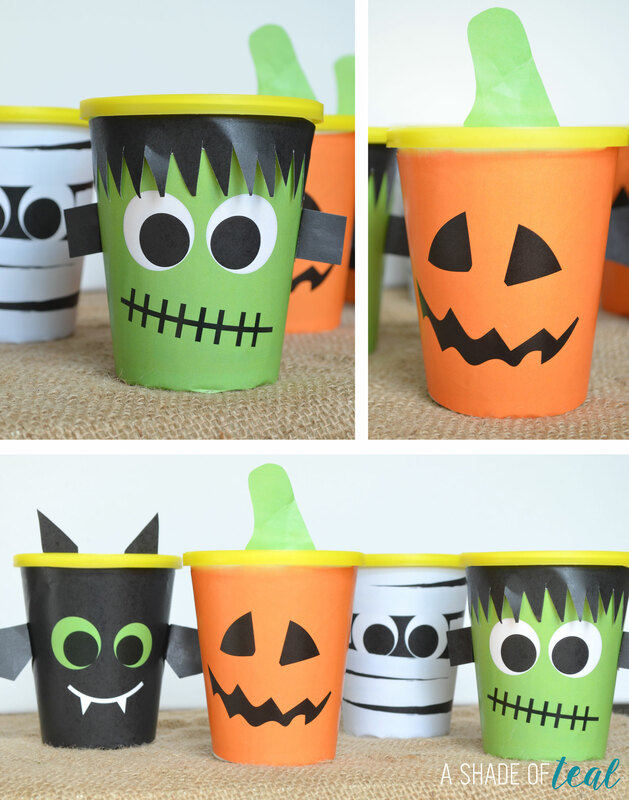 They’re perfect for your next Halloween gathering, or a fun gift for your kids friends. I love making the Halloween covered Go-Paks! and handing them out to my neighbors. To get started you’ll need to purchase the following treats! Snack Pack® Pudding Cups, I chose Chocolate and Chocolate/Vanilla Mix. Go-Paks! You can find these at the registers or in bins in the front of Walmart. Any flavor will work but make sure you grab a Mini OREO. I purchased all my treats at Walmart since they have the best selection. Plus they have a coupon right now for Buy one, get one free. 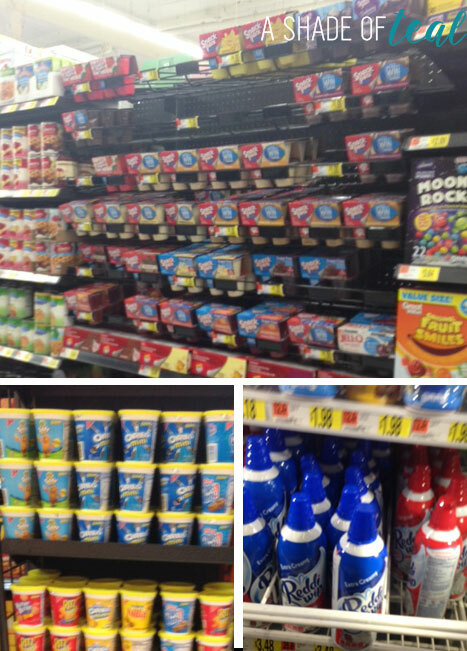 Just buy (1) Snack Pack® Pudding and get (1) NABISCO Go-Paks! FREE (up to $1.00). Get your coupon HERE. Purchase Go-Paks! at Walmart. 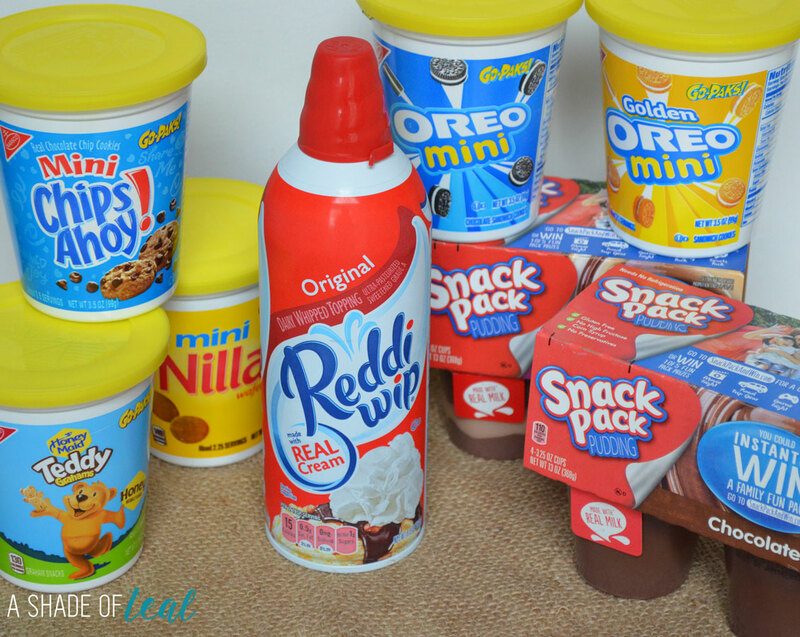 Their perfect snacks to buy in large quantities since their only $1! Plus you’ll love to grab them and go! After you print out the labels you’ll need to cut them out. To make the bat you’ll need to cut out the ears & wings. Tape the body around the cup, then add the ears to the top and the wings to each side. The mummy you’ll just need to tape the body to the Go-Paks! For the pumpkin tape the body and then add the stem to the top. Last for Frankenstein you’ll need to cut the hair like below. Tape the body, then add the hair at the top. Finally, add the black ears to each side. Here’s how they all turn out. I think the bat is my favorite! To make the Grave-site picks just cut them out and tape a toothpick to the back. 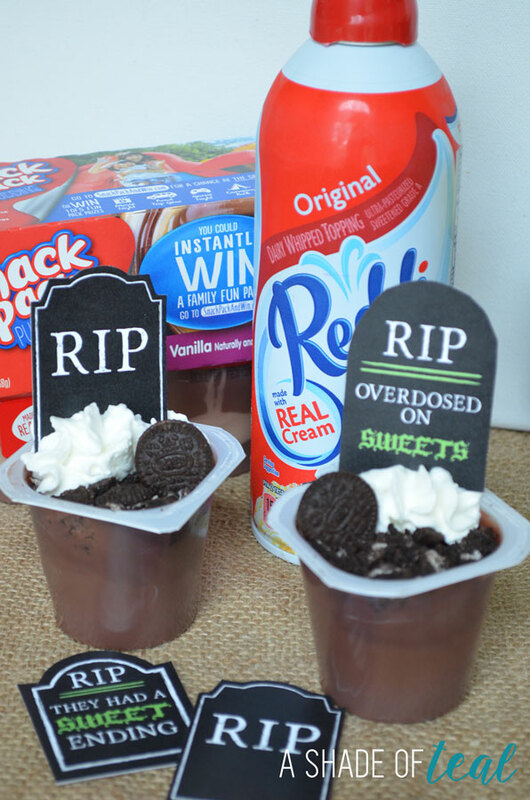 For the treat open your snack pack pudding. Then crunch up some OREO cookies and add them to the pudding cup. Top off with some Reddi-wip and place your Grave-site on top. 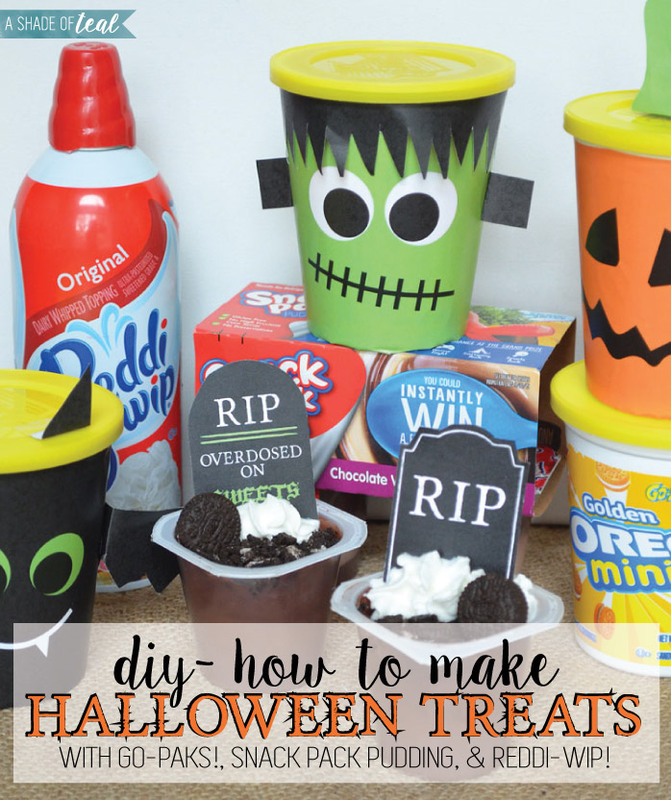 These are so easy to make for that quick Halloween treat! For Walking tacos just add the ingredients to the Go-Paks! I used the NABISCO Go-Paks! Mini NILLA Wafers and empied most of them to start off with. 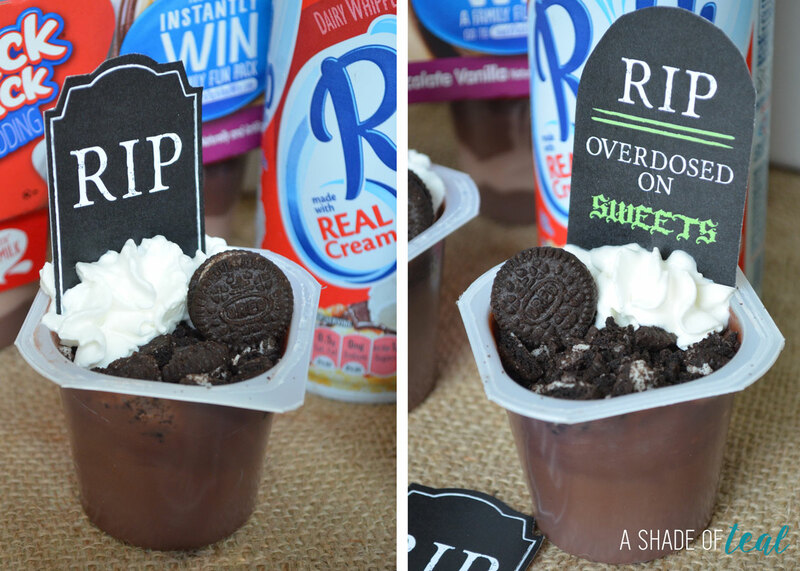 Then I added the Chocolate Snack Pack® Pudding Cup. I then took a couple of the Wafers and crunched them up and added them on top of the pudding. Next, I added the rest of the Wafers. Finally top it off with the delicious Reddi Wip and your ready to enjoy your Walking Taco! Now its time to enjoy! These are so delicious! Don’t forget to print your labels & grave-sites. 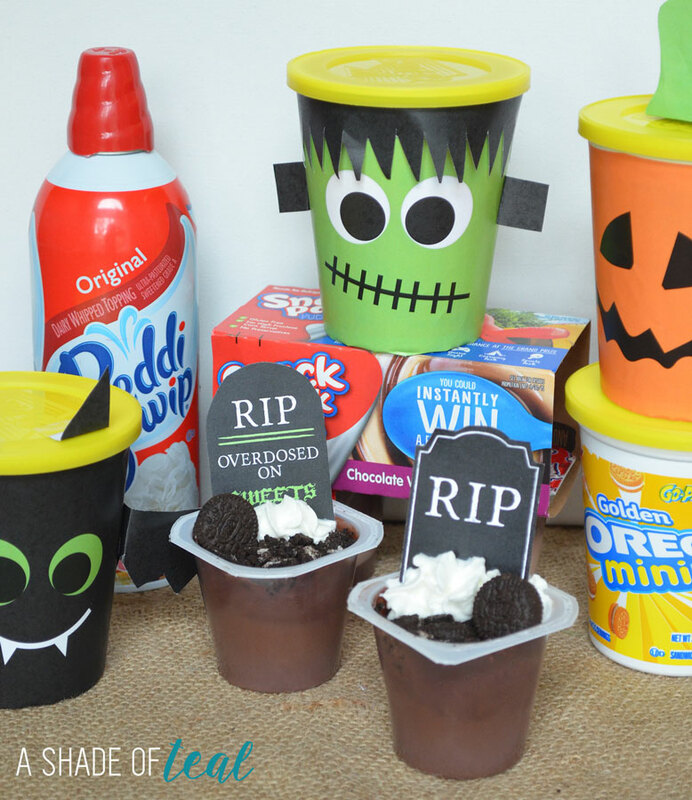 Snack Pack Pudding cups and Go-Paks! make the perfect combo for a Halloween treat. 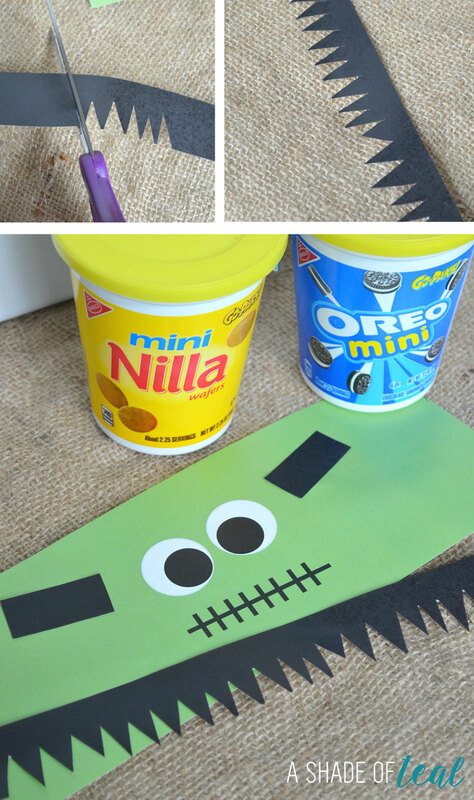 You can make so many different treats with Go-Paks! since the cups are plastic and they won’t leak. Make sure to check out #SnackAndGo for more inspiration! I love this, these are so cute! Will be trying this with the kids! LOVE the Bat cookie cup, you make this look so easy. Thanks for sharing. Thanks Ally, so glad you enjoyed! this looks so delicious and fun! Love it! Cute, Quick, and Easy! Anything that meets all three of these requirements is a winner in my book! Thanks Trish! They are super easy to make!